I am so excited…and honored to be one of the Featured Bloggers on the IACP site…..
You’re an IACP Featured Blogger! You are one of three featured bloggers on the IACP blog this week! 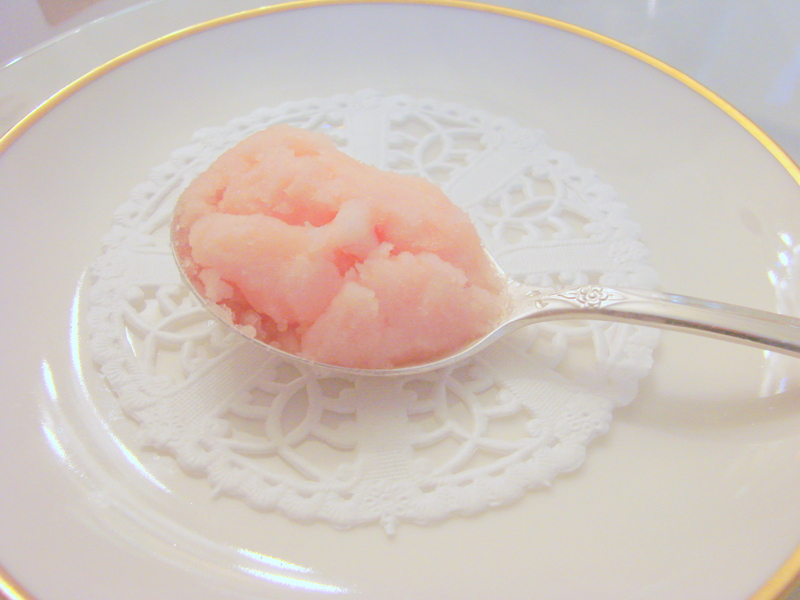 We loved your recent post about Grapefruit Sorbet and are super excited about your blog. You can take a look at our post featuring you here. We will be cross-promoting our blog highlight on our social media. To make our promotions a little easier, I encourage you to follow us on Twitter (@IACPculinary), like us on Facebook (our main page is IACP: International Association of Culinary Professionals) and join our Linkedin Group (International Association of Culinary Professionals). This makes tagging a little easier. We are very proud to have you as a member, thanks for making IACP look so good! Thank you for your congratulations…sending you love! Hi Betty Ann….so good to hear from you and thank you for your kind words….I do enjoy writing…and will do so hopefully more next year…I will call you soon….lots of love to you…. Congratulations Maria! They were smart to pick one of your specialities. No one does a better job at making my mouth water. God bless you. Happy Thanksgiving. Congratulations as usual on your fine work and postings! Congratulations Maria. You do lovely work. You are doing a beautiful and delicious blog! I’m sure it is as delicious as it looks! Looking forward to seeing u for gingerbread house decorating!!! from …..Lee Ann Vasil…….via Email…. You know I keep telling you that you are an amazing lady, here is more proof. I enjoy your blog and your stories. They put me in mind of my own family. While I am not much of a baker, your recipes are enticing and your wonderful photography makes everything look especially delicious. That is very fun! Keep at it. Congratulation- that is exciting that you got into the IACP site. I hear that Hannelore will be joining you with her twin-grand children for the ginger bread house making. they are already so excited!! Congratulations, Maja! Das hast du mit deinem schönen Blog wirklich verdient!